This was a well-known story in the 19th Century. “To see the elephant” came to mean the culmination of long-held desires, to see what few have seen, to experience the adventure of the unknown in exotic places, to risk all and be content even if all was lost in the adventure of a life made more colorful, more vibrant and more exhilarating for launching into the deep. 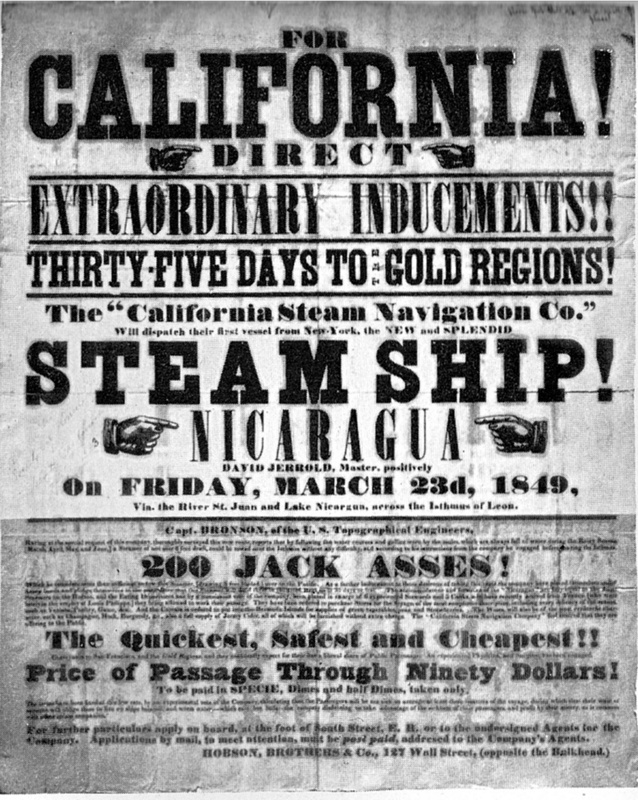 To forty-niners and those following, no expression characterized the California Gold Rush better than “seeing the elephant.” Those bitten by the gold bug said they were “going to see the elephant.” Those who returned claimed they had seen the “elephant’s tracks” or the “elephant’s tail.” The elephant itself became a symbol of the Gold Rush, adorning miners’ stationery, books and posters. The 1850 U.S. Census shows Seth Dunham, age 24, living with his family in Orland, Hancock County, Maine, when the census taker visited them there on August 25.1 He had been born in Orland on May 4, 1826, only six years after Maine was admitted as the 28th state.2 His father James, born in Orland about 1788, is listed as a farmer, as were most others in the area. James married Elizabeth “Betsy” Gilpatrick on March 25, 1814.3 She was born in Orland on May 27, 1795 and died about 1860.4 They apparently lived a relatively uneventful life, but Seth must already have been adventurous and anxious to see the world, for his occupation is listed as sailor. Shortly after the visit of the census recorder, he was off to see the elephant. 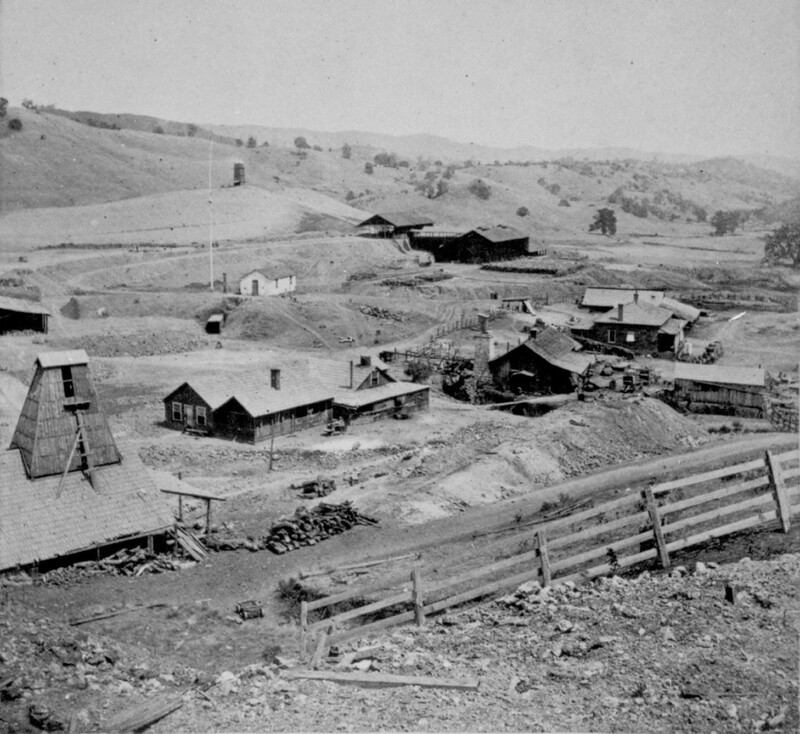 By April 9, 1851 (the 1850 census was late and a disaster in California, requiring a “re-do” in 1852), that same census found him in Tuolomne County, California with a new occupation: miner.5 Where the census taker recorded page after page of farmers in Orland, the Tuolomne census taker filled the occupation column with a single word: miner, miner, miner. Seth was living on his own, far from his family. The page of the census where he is listed with all those miners shows the kind of people he was meeting, hailing from not only from Tennessee, Pennsylvania, New York, Massachusetts, Rhode Island, Louisiana (and a few fellow Maine men), but also men from places young Seth could have only imagined: Mexico, Norway, Scotland, Sweden, England, Ireland, The Isle of Man and India. And this was just one page. Because of the speed with which he arrived in the gold fields and his previous occupation, we may assume he sailed to California, either all the way around the southern tip of South America or to Panama, traveling over the malarial swamps of the isthmus by foot and catching another ship on the Pacific to San Francisco. There is no further record of Seth until the 1860 census. On June 25 of that year the census shows him rooming with L. D. Jones, also a miner, in Clear Lake, Napa County.6 One year later, on May 20, 1861, this area became part of newly formed Lake County. But Seth and his roommate would soon cause another shift in California’s county lines. 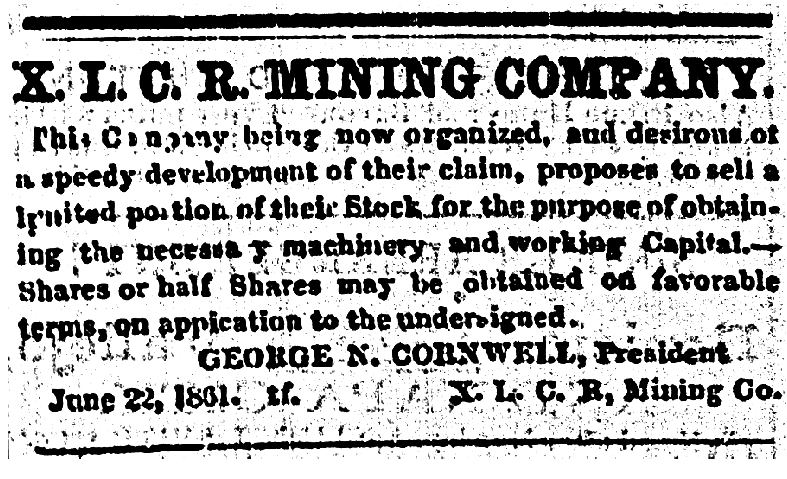 It’s common knowledge that few individuals became rich mining gold in California, but many did quite well by selling things to miners or providing services to the mining industry. Around this time, the discovery of silver in Napa County began attracting prospectors to the area. The silver did not turn out to be a big deal, but while prospecting north of Berryessa Valley in December of 1861, Seth and L. D. stumbled upon a lode of quicksilver, or mercury, in the form of cinnabar. Quicksilver was a toxic but important element used in some methods of gold mining. 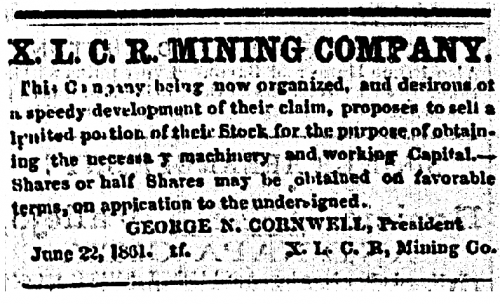 In 18607 a company of twelve was formed in Napa City for the purpose of prospecting for mines and minerals, and two old prospectors, Seth Dunham and L. D. Jones, were sent out to examine Napa and adjacent counties. 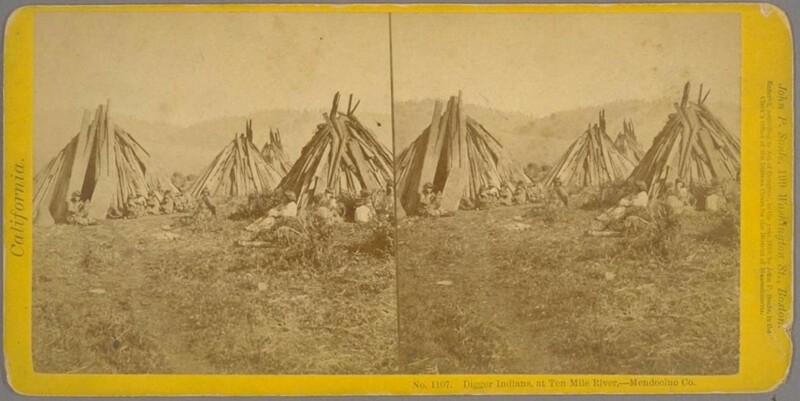 What might be found was a small matter of doubt, but the company informally organized concluded to pay a small assessment of $250 per month each, in order to find what might be the resources of the land. The prospectors were wont to bring in, about once a month, the results of their labors. The prevalent idea then was that silver abounded in the mountains of the county, and accordingly all eyes were directed to the discovery of that one metal. The company individually, and the prospectors as well, were well-nigh equally ignorant of mineralogy, and the “specimens” brought in ranged from iron pyrites to bituminous shale, all of which were supposed to contain silver. Every newspaper office and hotel bar were replete with these samples of the wealth and value of the mineral resources of the county, all of which, economically considered, were only inferior specimens of macadamizing stone—glistening, but valueless. No doubt enthusiastic with his payout and optimistic for the future, Seth married Lavina Jesse Springston in Napa County on November 17, 1864 before a local justice of the peace.12 He was 38 and she was 17, the daughter of William Springston, a farmer born about 1807 in Ohio13, and Nancy Todd, born about 1820 in Ohio.14 The Springston family had moved about quite a bit; their children were born in Ohio, Pennsylvania and Indiana; the family finally arrived in California between 1850 and 1856. Lavina herself was born February 11, 184915 and her parents seem confused by her peripatetic childhood; at various they gave her home state as Michigan, Ohio or Pennsylvania.16 She was most likely born in Michigan. 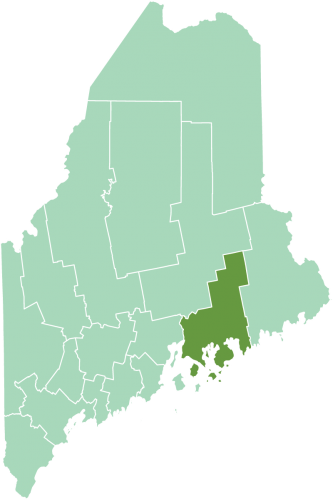 Perhaps having land made Seth feel as though he could rely on his family’s farming heritage back in Maine. He began to consider himself a farmer and made a go of it.19 We don’t know if he regretted giving up his life as a miner and prospector; he certainly seemed committed to farming. But Seth did not seem to be a good farmer, no matter how much land he homesteaded. And he appears to have run through any money he received for his quicksilver discovery. Even as Napa and Lake Counties finally settle the dispute over the lucrative tax base of the Knoxville Mining District, he experiences financial difficulties. In 1875 he faces the humiliation of having a public notice of delinquent property taxes published in the small town.20 And there were more children. Sumner was born May 24, 1871; Ella “Minnie” on May 24, 1878; Daisy May on October 27, 1882 and Oscar Waldow on August 17, 1885.21 Still he persisted in farming; the 1800 and 1900 censuses show him as living on a farm with an occupation as a farmer, first in Middletown, Lake County and then in Long Valley, Mendocino County. Even as recently as Seth’s time, Lake and Mendocino counties were sparsely populated. 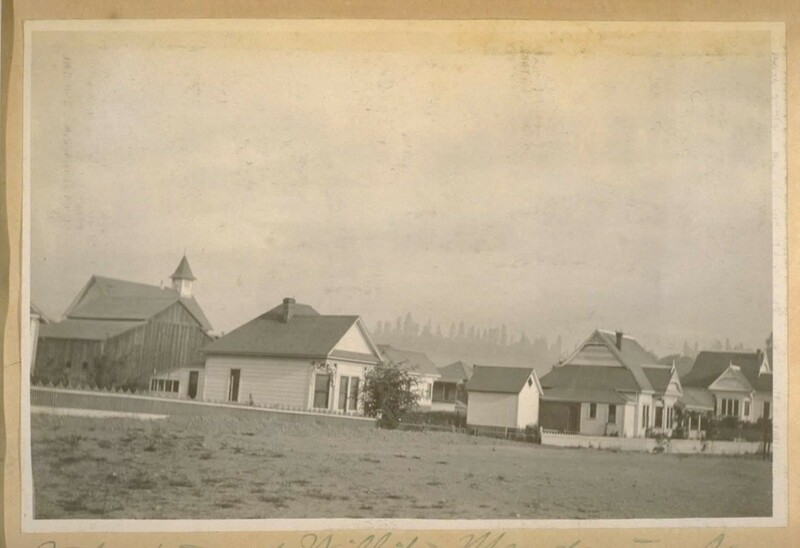 Photographs of the area from this time period show towns that look like Western movie sets, and indeed there were Native Americans living in traditional bark housing in Mendocino County during Seth’s life. Seth lived the life of a true Western pioneer. Lavina died of pneumonia on October 12, 1931 in Willits, Mendocino County at the age of 82 and was buried in the Odd Fellows Cemetery there.26 Her son Sumner was probably with her when she died, as he provided the information for the death certificate. He gave her birth state as Michigan but did not know the names of her parents. We never met Seth and Lavina. We have no family stories about them handed down, no photographs. But a look at what we can learn about them through history tells us a lot about their character, resourcefulness and sense of adventure. Certainly Seth saw the elephant. Doing research for one of Seth and Lavina’s great-grand daughters. Thank you.